Seeme & Liz > Parenting Tips (0-2 year olds) > Are You Ignoring Your Toddler’s Delayed Speech? If you answered yes to the question “Are you ignoring your toddler’s delayed speech*?” please keep reading. You may have heard comments such as: “don’t worry he will talk when he is ready” or “it’s ok, Einstein didn’t talk until he was four” and “she is your youngest child so her siblings are talking for her” from friends, family members and even your family physician. You’ve probably even heard “she’s just a late talker, she will catch up”. If you have had concerns regarding your toddler’s language development and received one of these answers from a well meaning person, you are not alone. However, I urge you to take this advice with a grain of salt. Unfortunately most doctors are not required to have specific training in the area of language development, let alone your friends and family members. Here are some red flags that can help you determine if your toddler’s speech truly is delayed. It’s true that all children will eventually learn to talk whether it be at 12 months or 3 years. The exception to this rule is if your child has a known hearing problem, genetic disorder or other developmental disorder that can impact speech and language development. I often see articles in the media such as Late Talking Toddlers Likely to be Fine by Age 5 that give parents a false sense of hope. The study that is discussed in the above article only focuses on the emotional and behavioral outcomes of these children. This study was led by Andrew Whitehouse, a psychologist at the University of Western Australia. He, however, did not look at language outcomes so one cannot make the assumption that these children were fine with regards to their language development (both in understanding of language and expression). There is nothing wrong with this study, it is the headlines the media are using that are misleading. One thing to note is that the language delay here refers to an expressive delay only. This means that the child is able to understand but has difficulty speaking (or expressing themselves verbally). Now, this leaves about 20-30% of children. To me, this number is quite high. It is under 50% but is that a risk you want to take with your child? Children who are not using more than a handful of words by their second birthday are at risk. Research shows that when a child’s language skills are not where they should be, they will have lasting difficulties in areas of expressive language and reading and writing once they enter school. Parents are often told to simply “wait and see” with regards to their child’s language development. However, early language intervention can make a world of difference. The younger the child is also plays a role in the length of therapy that may be needed. If you wait until your child is over 3, for example, she will need a lot more therapy in order to teach all of the things a 3 year old should know. But, if therapy were started at the age of 2 there is a good chance that she would be caught up by the age of 3. 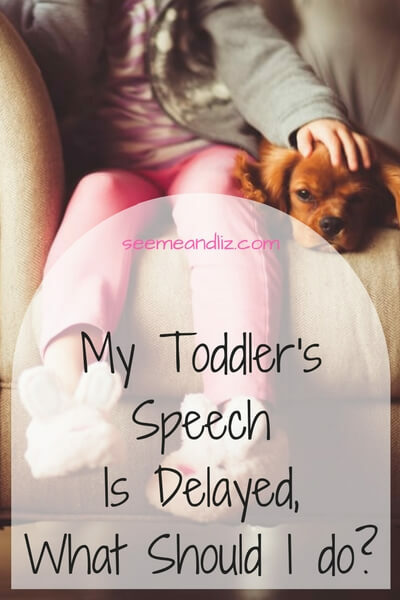 My Toddler’s Speech Is Delayed, What Should I Do? Personally, I would recommend you seek out a registered Speech-Language Pathologist in your area (private or government funded) and have your child assessed. The speech pathologist will be able to tell you whether or not your child would benefit from therapy sessions. Often, in the case of young children, the speech pathologist will set up a home program for you so that you can work with your child at home. It really depends on your child and the severity of the delay. I know many parents take on the “wait and see” approach because they feel that if they admit that their child needs language intervention, they must have somehow failed as parents. Some children simply need more help than others. We all have strengths and weaknesses. The same goes for children. You will be a better parent by having your child assessed sooner rather than later. You could continue waiting and waiting only to be told that your child is now struggling in school. If only he would have received speech therapy as a toddler none of this might be happening. I am not trying to scare you, but I am frustrated with the headlines that parents see and the advice they are given by people with no background in language development. In the end, the choice to ignore the delay and “wait and see” is yours! Please let me know if you have any questions regarding this topic. 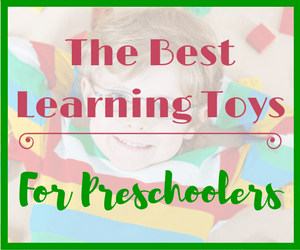 And be sure to check out my number one recommended toy for a child with a speech and language delay! ¹ Ellis EM, Thal DJ. (2008) Early language delay and risk for language impairment. Perspect Lang Learn Ed., 15(3): 93-100. ² Sharma M., Purdy, S.C. & Kelly, A.S. (2009). Comorbidity of auditory processing, language, and reading disorders. Journal of Speech, Language and Hearing Research, 52(3),706-22. Hello loved this post I have a just turned 2 year old son who only knows to say a handful of words, however he understands everything it’s as if he knows what to say but won’t say it . My pediatrician wasn’t concerned , I on the other hand keep thinking in the back of my mind maybe something is delayed and he needs help , part of it is that my first born was a early talker and by his age was having full on conversations. Any suggestions he is extremely active hard to get to sit down and look at a book only thing he loves is his baby Einstein shows. Any thoughts or suggestions would be grately appreciated. If you are still looking for more ideas click on “Speech and language tips and tricks” under the heading “Language Development” on the main menu of the website. I have 4 children, all boys, and they are aged 4, 9, 11, and 12 but there weren’t any issues with delayed speech with any of them. Have you experienced anything like this before and if you have how can myself and my wife deal with it? I have never heard of an older child developing a list unless he recently got a mouth appliance such as a retainer. If this is a case the lisp should go away once the device is removed. Or perhaps he may intentionally be adding the lisp to play around with his voice and speech musculature. If it is neither of these I would give it a month or 2 and see if it changes. You can always make an appoint with a licensed speech-language pathologist if the issue persists. Very informative article on toddler language development. I have always wondered about this with my nieces and nephews because their language skills really vary. There are lot of things on this topic that I have never even heard about, but you explained them very well. Your website is more than helpful! As my daughter has recently turned two I am interested in how her speech is coming along. As she is my first child I wonder to myself what is normal for her age. She does say combined words but sometimes whenever she wants to and not when prompted. We regularly see a health nurse to check whether everything is ok with her. I recommend parents do the same where they live. Thanks for stopping by again Owaiin. It sounds like your daughter is developing as expected for her age. You seem to be very aware of what she is able to do. It’s great that you are able to see a health nurse to make sure all is good! Awesome article! Thank you so much for this great information about speech. I currently have a 5 month old little boy, and I want to be as informed as possible on what is normal on growth and development! I have a lot to learn and research, and need all the help I can get. Thanks again! Thanks for reading the article Triana. Try not to get to hung up on the milestones at this point as your son is still really young. However, it is good to be knowledgeable and know when to seek help. You don’t want to be paranoid, but you also shouldn’t take a wait and see approach all the time. I think as parents we are always concerned when we try and compare our child to another. It can be so hard to keep up! Especially when Sally Sue’s child was reciting the alphabet at 2 weeks old… So I can see where parents would hesitate to get help right away. Along the same lines, if a child (say a 1 year old) says words but only the parents or those close to the child can understand them, is there an age for that to be a concern? I have come across children even 3 and 4 years old that are difficult to understand and I am wondering at what age does that become a concern as well. Thank you! Yes, comparing children is never a good things as they do develop at different rates. However, many studies have been done looking at various aspects of child development and this is where the average ages for certain points of development have come from. These average ages are good reference points. As for how a child pronounces words, this takes more time. By 3, a parent should understand 75% of what a their child says. It also depends on which sounds are being said in error as some are easier to produce than others. I always recommend parents have their child assessed by a speech-language pathologist if they feel even the slightest bit concerned. If there is nothing to worry about the therapist will let you know. Every parent should have this piece of information to understand if his/her child is on schedule when it comes to their language development. If the child is not talking at age four, would that be the best time to get professional help? Great website that outlines what to expect with your child’s speech development, and how to know if there’s a problem. Thanks for reading the article regarding a toddler’s delayed speech! I am happy that you found it informative. If a child is not talking at the age of 4 it is definitely time to get help. I always recommend a parent seeking help for their child as early as possible, ideally between 18 months and 2 years of age if there are any red flags like the one I listed in the article. Please check out Ages and Stages – Language Development Milestones to see what a 4 year old’s language development should be like. I agree it must be better to seek advice as soon as possible, but at the same time I can understand the parents waiting and thinking their child is just a late developer. 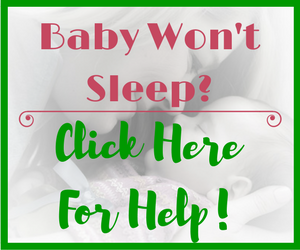 Your article is very useful as it should encourage parents to take early action. The child might just need a few therapy sessions or the delay could be caused by something more important like hearing problems. So delayed speech should definitely not be ignored. You completely understand the points I was trying to make with this article! Admitting that your child may need speech-language therapy can be quite daunting. Each day that goes by a parent hopes that “today will be the day my child starts talking”. 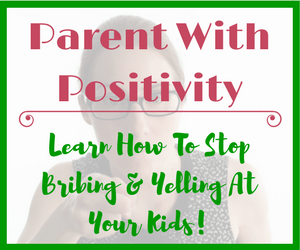 I worked with many toddlers with delayed speech and 95% of them only needed a few sessions and the parents were shown some strategies to use at home. The other 5% ended up having some additional issues that resulted in the language delays. I will continue to encourage parents to have their child assessed by a speech-language pathologist if there is even the slightest inclination that the child isn’t progressing as they should. Better safe than sorry, right? I really enjoyed reading information on your site. 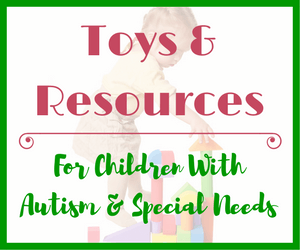 Coming from a child development job it is great to see resources out there that provide quality information, knowledge and activities to promote the best education for your children. 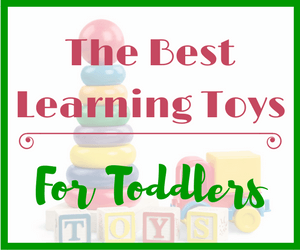 I like that you include different topics that surround building language development. I know a lot of parents are unaware of their child’s language development and milestones. Great site! Thanks for taking the time to look around the site. I am pleased to hear that you enjoyed reading the articles. 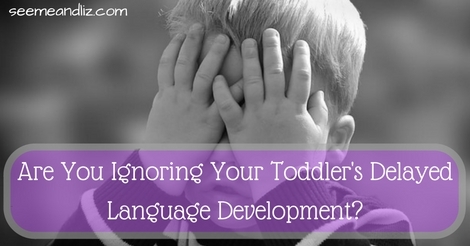 I agree that many parents are not aware of child language and developmental milestones. I often forget that because they are so ingrained in my mind because of my background. And it is unfortunate that professionals that parents trust (such as a family dr.) often provide incorrect or inadequate information to families. I am not saying that all doctor’s do this, they definitely don’t, but there are some that do. I’ve heard those sayings and seen those headlines myself and while it was reassuring, it didn’t really help much. My youngest son is 4 and I’ve noticed that sometimes other people have trouble understanding his words. He has to repeat himself more frequently these days. I know what he’s saying but I think that’s more because I’m used to his speech. Can this be a sign of delayed speech? In this article the word speech refers to language development. Speech is often used for language in the media. However, to get a bit technical speech is just the production of sounds whereas language refers to putting words together to form sentences and questions, grammar, understanding, etc. 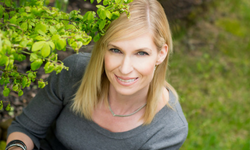 It sounds like your son may be having difficulty with speech sounds specifically. By the age of 4 most of what a child says should be understood by people who are around him regularly. Strangers should also be able to understand a good chunk of what he says. If you are finding that he is getting frustrated or that many people are commenting that they don’t understand him, I would suggest taking him for a speech evaluation. You can check out the Resources page for information about how to find a licensed Speech-Language Pathologist. Very informative post on speech problems with toddlers. 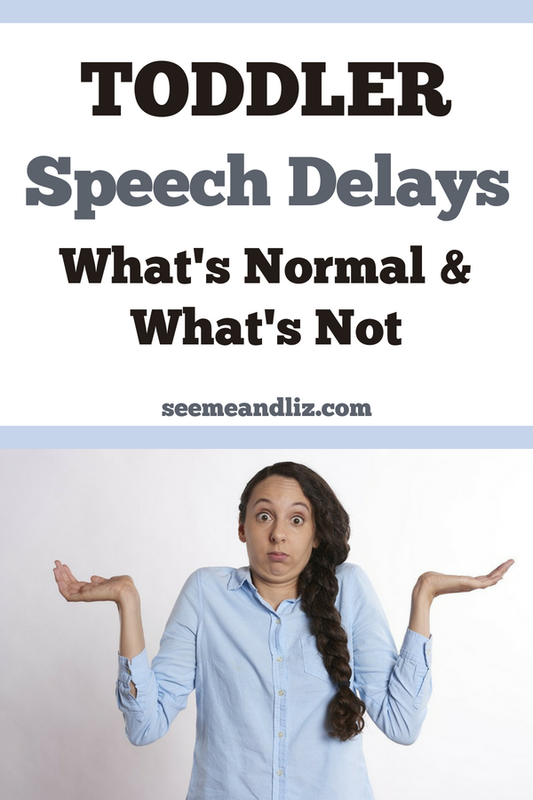 Help me understand something: What is the definition of delayed speech? Should a toddler at, say 2 years old, who can say a random correct word and mainly speak an incomprehensible language (common to all babies) be in the category you are calling of ‘toddlers with delayed speech’? Thanks for your question. You should be able to get your answer by reading Ages and Stages – Language Development Milestones. You can also do a google search for “language development milestones” if you would like to compare lists. By the age of 2, a child should have between 50-100 words (preferably 100+) and 2 word combinations such as “daddy shoe” and “go bye bye” should start becoming more regular when they communicate. 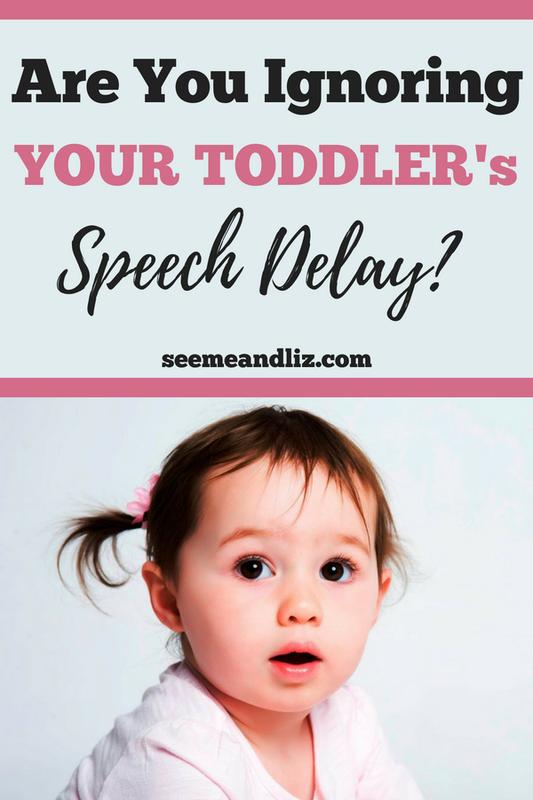 Great post, however how do you know if your toddlers speech is delayed in the first place? My daughter could speak so many words by the time she was 18 months and she could string a few words together. My son could only say Mama by 18 months! Now my son is nearly 2 years old and he still can’t string 2 words together although his vocabulary is increasing very quickly now. I have heard that girls start talking much earlier than boys and it certainly is the case here. I’m just wondering how you can tell if a toddler is classified as delayed? Thanks for coming back to check out my latest post about ignoring or not to ignore your toddlers delayed speech! If you go to Ages and Stages – Language Development Milestones you can see what a child should be doing at a certain age. Your daughter sounds like she was right on track. I would keep an eye on your son. 2 years is when children should combine words together (don’t worry about grammar). If his vocabulary is growing quickly as you mentioned then hopefully he will start putting words together any day now. It is somewhat of a myth that girls speak before boys. It really depends on the child. My son (who is the youngest – another myth is that younger children speak later than their older siblings) spoke before my daughter did. The reason some people say that girls speak before boys is because females by nature tend to be more the “talkers”. Boys tend to be more physical, however this is not always the case. The ages and stages page should give you a good idea as to what your son should be doing. They are just averages, but if things are way off then it wouldn’t hurt to have a speech and language assessment done. It can help give you peace of mind. Especially if the speech therapist says there is nothing to worry about.